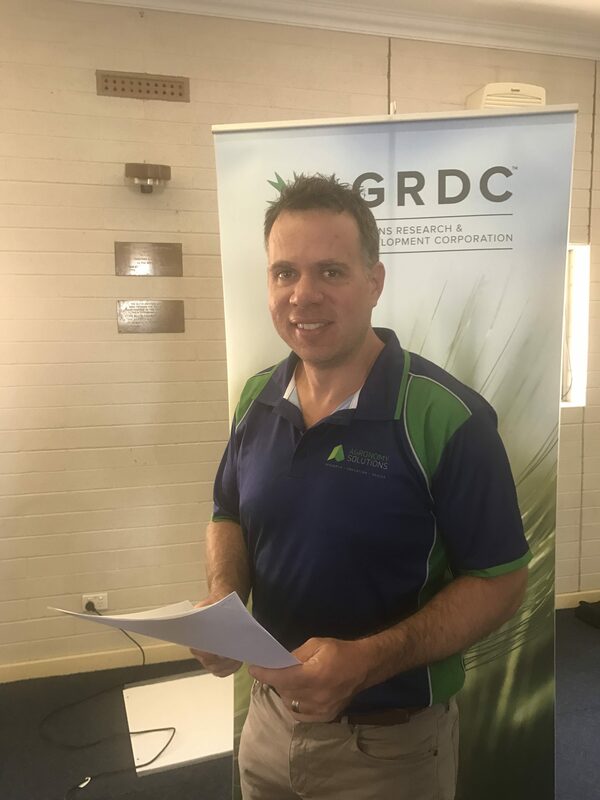 Grower surveys conducted by GRDC in 2016 indicate low adoption of soil and plant testing data to inform nutrient decisions, highlighting an opportunity to assist growers to improve their nutrient decisions and create better crop outcomes. The wider industry often promotes the benefits of using testing to guide nutrient decisions both pre and in-season, however soil testing rates have remained quite low. Agronomy Solutions is leading efforts to increase soil testing rates in a GRDC-funded project running until 2021. We are working with AgCommunicators, Eyre Peninsula Agricultural Research Foundation, Hart Field Site Group, Mallee Sustainable Farming and Southern Farming Systems, Australian Precision Ag Laboratory (APAL), the CSIRO and Landmark to reach growers and advisers across South Australia, Victoria and Tasmania. Australia Precision Ag Laboratory (APAL), CSIRO and Landmark. The project incorporates a range of extension and communication activities to gauge the barriers to adoption and provide education opportunities. An intensive, high-impact soil and plant testing demonstration program is being conducted with growers interested in improving fertiliser returns. The economic value of nutrient management practices in terms of increased nutrient use efficiency, including savings where soil nutrient levels are high, will be widely promoted throughout the duration of the project and beyond its completion. Ultimately, the investment aims to improve nutrient management best practice through the increased use of soil testing and provide grain growers in GRDC’s southern cropping region with the confidence, knowledge and ability to make more effective and profitable nutrient management decisions. The project is in its early stages with grower surveys and workshops conducted in early 2019. Soil testing of trial sites to measure pre-sowing soil N and P was completed in February and March 2019. 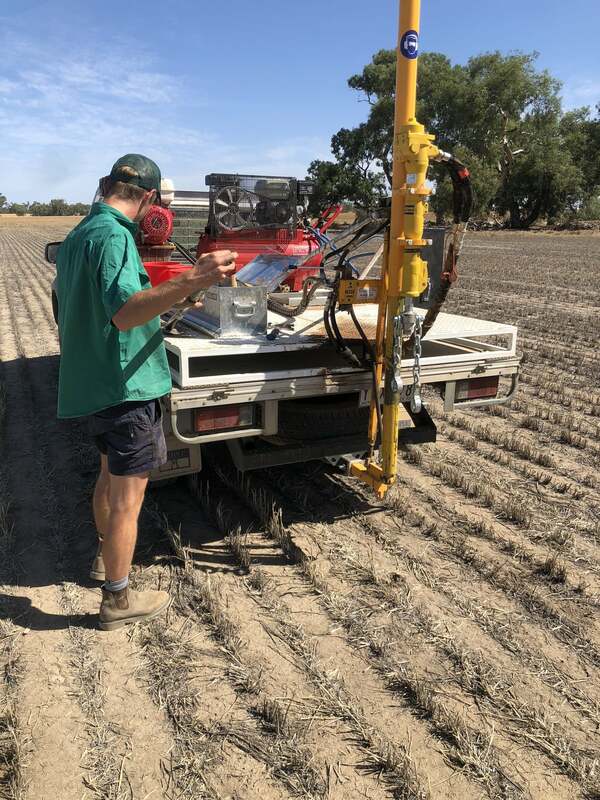 Soil testing was conducted pre-sowing in 2019 to get baseline information for our trial sites. 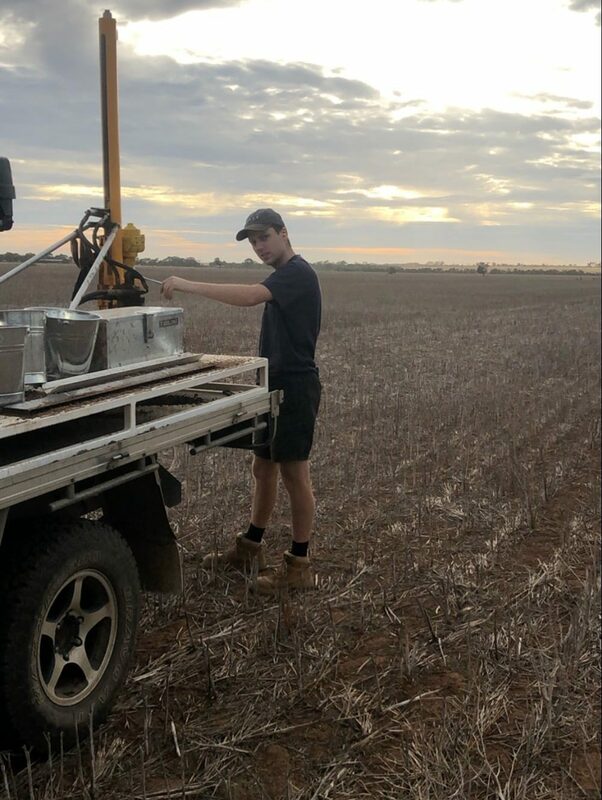 Landmark’s Riley (left) and Charles (right) are pictured soil sampling Elmore and Bannockburn, Victoria. The project involves a number of outputs to ultimately give growers and advisers a good understanding of nutrient management decision making processes and the benefits to their operation. Economic framework detailing likely returns from investing in improved nutrient management practices. An economic framework analysing the value of soil and plant testing will involve survey and workshop analysis, farm-scale assessment via fertiliser test strips and existing literature. The framework is designed to be used together with large scale on-farm paddock trials to demonstrate how fertiliser decisions informed by test results can lead to increased profitability. Results from this trial program will be included in the ongoing development of the economic framework. Intensive and high-impact soil and plant testing demonstration program including 100 growers from South Australia and Victoria. A precision agriculture and farm management platform will be used for data management, trial paddock setup and detail procedures for soil and tissue testing. This will ensure consistent results are gathered from the 100 growers with six paddocks each to be sown to wheat in 2019. Of these trial paddocks, 50 per cent will have a fertiliser strip trial included. Throughout the growing season there will be N and P nutrient strip trials and tissue sampling and grain yields will be collected to assess nutrient responses. Promotion of nutrient management best practices using key influencers of practice change in varying communication and extension activities. Initial focus group workshops for growers and advisers participating in the trials have sought feedback around soil testing. This series of workshops outlined the CSIRO-developed economic framework established and protocols for soil sampling, demonstration trials and data collection. A survey of more than 200 growers will also provide insight into current attitudes of growers and advisers towards soil and plant testing.